The Spring 2014 Commencement will be held on Saturday, May 10. For those who plan to participate in the graduation ceremony and do not own your regalia, the bookstore has a convenient rental program. Please place your orders with the bookstore prior to Wednesday, April 30, to avoid any late fees. Orders placed prior to April 30, should arrive the week of May 3 and you will be contacted by phone and email to pick up your regalia at the bookstore. For any orders placed after April 30, an additional $10.00 fee will be added to your order for rush shipping. We will not be able to guarantee any orders that are placed on or after May 3. The UHD Bookstore requires prepayment for all orders and accepts cash, all major credit cards (with valid identification), or a charge to your department via PCard or purchase voucher with prior approval from your department. Any items left with the bookstore on Friday, May 9, will be available at the ceremony on Saturday, May 10, in the faculty reception area. 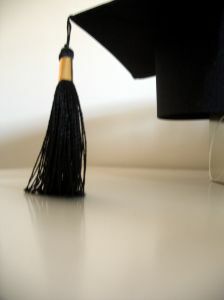 If you would prefer, you can make arrangements for the Bookstore to deliver your regalia to the graduation and the Bookstore staff will be on hand to retrieve the rented regalia after the conclusion of the graduation. Please do not hesitate to contact Bill Schaub at 713-221-8145 with any questions.